The Intensified Party, Saturday, July 1st @ The Warren View -from all accounts this was a great night put on by Wally and friends. Both the management and crowd were impressed... maybe this is not a one off event. Meeting Wednesday, July 5th - The ride out to "Vespa Cafe" in Gladsville was a success with about 7 scooters braving the night for a quick coffee. Vespa Cafe seems to be doing pretty well, they were packed out and could afford to give us free coffee while we hung out by the scoots. Cheap Beer - For a few years now, The Duke has been giving us $2 schooners. This has been a great bonus for members, but with a normal beer being $3.20 now and the lack of repeat business (i.e. us drinking there all weekend), we have decided to let the cheap beer go and not ask for scooter club prices. The Duke has been fantastic to us, many of you will remember the free BBQ's. The fact that they have honored cheap beer for so long has been great. We should appreciate what they have done by not pushing their hospitality too far. This has been our decision and not the Duke's. www.internetscooter.com - Many thanks should go to Jason (JT) from Mathematics and fellow SCSC member. 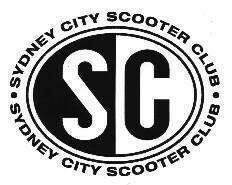 The Internet Scooter Club web site has been totally revamped and is well worth a look just to see what Jason has done with it. On the ISC site you'll find pictures from the Tassie 2000 tour and a few other goodies. The SCSC site can now be found under the "Links" section of the ISC web site. Next Meeting, Wednesday, August 2nd - A night ride to The Porterhouse, which is an Irish pub in Surry Hills. We'll leave from the Duke at 7:30PM and head off for a quick drink and then back to the Duke. The Porterhouse is at 233 Riley Street near the police station. Details: $20 gets you a bed for the night at the Great Southern Hotel. Clean bunk style accommodation, sheets & towels etc. provided - this means all your scooter is carrying is a change of clothes. We will have a car towing a trailer following the riders in case of punctures etc. You need to book for this one - to be sure of a bed call Nico at on 02 6282 6882 or email nico@cyberone.com.au. December 2000 - Coast to Coast Rally - Here is the latest update for those going (or thinking of going) on the Coast to Coast Rally (Perth to Sydney). A group of bikes are being organised in Europe and at this stage about 16 bikes are ready to be shipped to Australia (there are 4-5 scooters among them). There is one sidecar (1935 Benelli 500cc). Overall the age of the bikes varies from 1928 to 1968. In Australia, about 10 bikes planning to join. New enquiries are still arriving, so there will be a group of about 35 -40 bikes. The event is still advertised in various Australian mags.